Today we'll go back to the theory. And I'll start this new stage with a question. 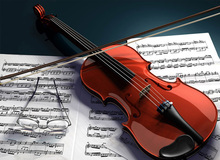 Can you create modes from a minor scale? The answer is: yes! And I have a second question for you: Can you create modes from all types of minor scales? The answers is, again: yes! One last question – drum roll, please! Can you create modes form other types of minor scales? The answer is once again: yes! Let's quickly go through all the minor scales there are: There's the natural minor scale, the harmonic minor scale and the melodic minor scale. If you want to go through the details of each of theses scales, I invite you to go back to article 2 of this series. We won't review the modes of the natural minor scale, because it is basically the Aeolian mode of the major scale it corresponds to (its relative major), so the modes of this minor scale are the same as those of the relative major scale. How come I mention the melodic minor before the harmonic minor, you ask? There's a good reason for that. The minor melodic scale has only one alteration in relation to the major scale, the third. 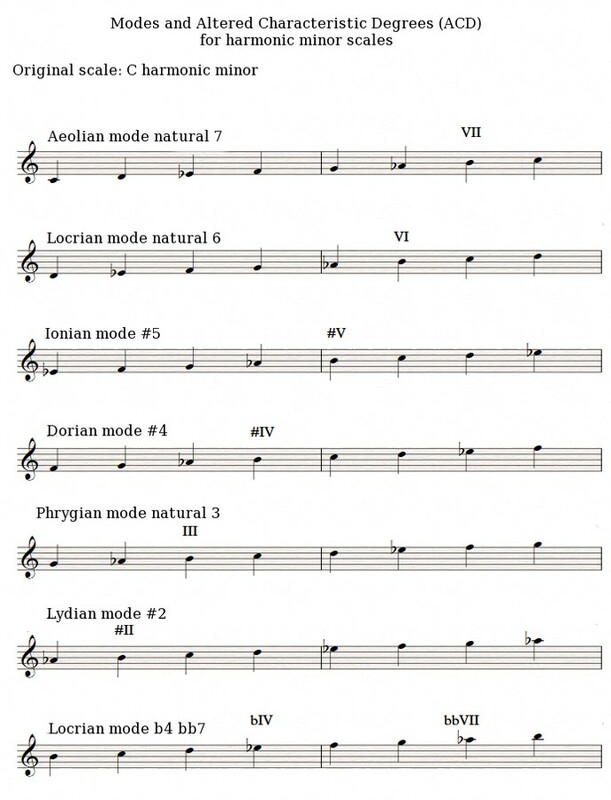 So the modes of this scale will only differ in one alteration with those of the major scale. In article 2 of this series you saw that the tonal system doesn't accept the melodic minor scale unless it's in ascending order, because in descending order it is replaced by the natural minor scale. In the modal system, this principle is abandoned: the modes based on the melodic minor scale stay the same both upwards and downwards. The natural modes of the major scale distinguish themselves due to their Natural Characteristic Degrees (NCD). 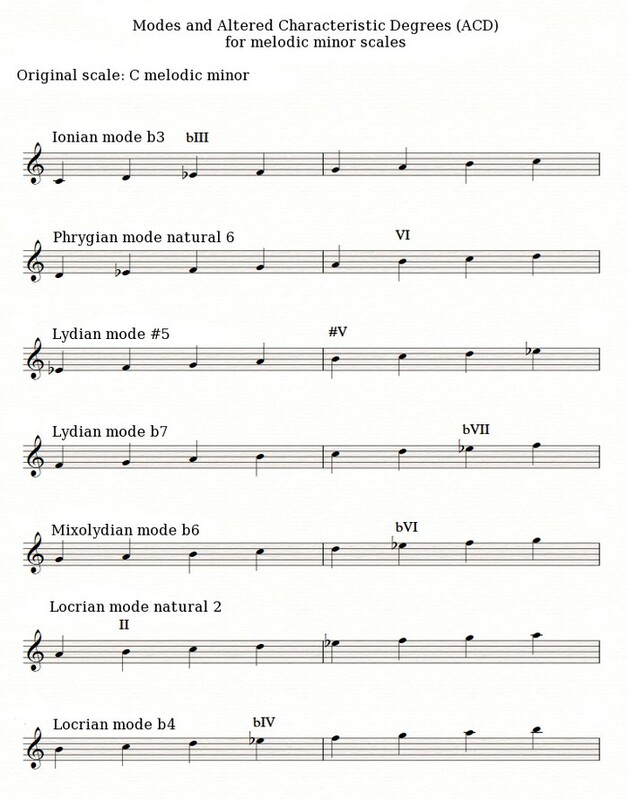 The altered modes from the minor scales distinguish themselves by their... Altered Characteristic Degrees (DCA)! To finish this quick overview of altered modes, here are the modes from the harmonic minor scale. Do note that the first degree is not Ionian but Aeolian.